Flow diagram of selection of studies for inclusion in the present meta-analysis. Relationship between baseline age of participants and mortality rates in 11 randomized trials of statins among participants without prior coronary heart disease at baseline. Meta-regression showed a significant relationship between baseline age and mortality rates in the groups (P<.001); age explained nearly 70% of the variation in event rate between the groups (R2 = 0.66). For expansions of study abbreviations, see Table footnote. Effect of statins on all-cause mortality in randomized controlled trials of participants without prior coronary heart disease at baseline. A, Forest plot of 11 randomized trials, including 2 studies that were conducted in diabetic populations. *There was no significant heterogeneity between the studies (I2 = 23%; P = .23). B, Forest plot of 9 randomized trials, excluding 2 studies that were conducted in diabetic populations. †There was no significant heterogeneity between the studies (I2 = 24%, P = .23). For expansions of study abbreviations, see Table footnote. Plots of risk ratios and 95% confidence intervals (CIs) of all-cause mortality by percentage (A), absolute low-density lipoprotein cholesterol (LDL-C) reduction (B), or baseline mean LDL-C levels in 11 randomized clinical trials of statins among participants without prior coronary heart disease at baseline (C). The benefit on mortality from statin use did not show a continuous relationship with amount of reduction in LDL-C levels or baseline mean LDL-C levels (P > .10). To convert LDL-C to millimoles per liter, multiply by 0.0259. For expansions of study abbreviations, see Table footnote. eFigure -Download PDF (114 KB). This file requires Adobe Reader®. Background Statins have been shown to reduce the risk of all-cause mortality among individuals with clinical history of coronary heart disease. However, it remains uncertain whether statins have similar mortality benefit in a high-risk primary prevention setting. Notably, all systematic reviews to date included trials that in part incorporated participants with prior cardiovascular disease (CVD) at baseline. Our objective was to reliably determine if statin therapy reduces all-cause mortality among intermediate to high-risk individuals without a history of CVD. Data Sources Trials were identified through computerized literature searches of MEDLINE and Cochrane databases (January 1970-May 2009) using terms related to statins, clinical trials, and cardiovascular end points and through bibliographies of retrieved studies. Study Selection Prospective, randomized controlled trials of statin therapy performed in individuals free from CVD at baseline and that reported details, or could supply data, on all-cause mortality. Data Extraction Relevant data including the number of patients randomized, mean duration of follow-up, and the number of incident deaths were obtained from the principal publication or by correspondence with the investigators. Data Synthesis Data were combined from 11 studies and effect estimates were pooled using a random-effects model meta-analysis, with heterogeneity assessed with the I2 statistic. Data were available on 65 229 participants followed for approximately 244 000 person-years, during which 2793 deaths occurred. The use of statins in this high-risk primary prevention setting was not associated with a statistically significant reduction (risk ratio, 0.91; 95% confidence interval, 0.83-1.01) in the risk of all-cause mortality. There was no statistical evidence of heterogeneity among studies (I2 = 23%; 95% confidence interval, 0%-61% [P = .23]). Conclusion This literature-based meta-analysis did not find evidence for the benefit of statin therapy on all-cause mortality in a high-risk primary prevention set-up. Recently, the Justification for the Use of Statins in Prevention: an Intervention Trial Evaluating Rosuvastatin (JUPITER) reported that among individuals with comparatively low levels of low-density lipoprotein cholesterol (LDL-C) (<130 mg/dL) (to convert to millimoles per liter, multiply by 0.0259) and baseline levels of hs-CRP of higher than 2 mg/L (to convert to nanomoles per liter, multiply by 9.524), statins significantly reduced all-cause mortality by 20%.7 Some have questioned these findings as a chance or exaggerated observation.8 Four systematic reviews have been published on the topic thus far, which have either principally attempted to evaluate heterogeneity of effect estimates between statins and thus have not reported combined effect estimates across statin trials9 or have included populations with prevalent CVD10-12 and/or have included trials with incomplete randomization.11 The most recent systematic review,12 which included results from JUPITER, is also somewhat limited by the inclusion of participants with prior CVD at baseline (n = 3659), as well as the exclusion of smaller statin trials.13,14 Thus, to provide the most robust information to date, we undertook a meta-analysis of published clinical trials (including information previously unpublished by these studies) to assess whether statins reduce all-cause mortality in the setting of high-risk primary prevention populations. We searched the databases of MEDLINE and the Cochrane Collaboration for articles published from January 1970 to May 2009, using a combination of free keywords and MeSH terms related to statins, clinical trials, and cardiovascular end points. The search yielded 1226 articles, which were further screened for inclusion using titles, abstracts, and/or full texts. We supplemented the electronic search by scanning the reference lists of relevant publications. When published data were insufficient for our analyses, additional details were sought from the investigators of the corresponding clinical trials (Figure 1). Our predefined inclusion criteria were (1) randomized trials of statins vs placebo/control, (2) trials that collected information on all-cause mortality, and (3) trials conducted among individuals without prevalent CVD at baseline. Three trials meeting these inclusion criteria were identified, with relevant information available in their principal publications.7,15,16 Two further trials provided hitherto unpublished tabular information on all-cause mortality.14,17 Since the principal publication from the West of Scotland Coronary Prevention Study (WOSCOPS)18 included individuals with a history of angina or electrocardiographic (ECG) evidence of CHD at baseline, unpublished tabular information excluding such individuals was sought and obtained. For trials that included individuals with CHD or stroke at baseline, tabular data on the subset that excluded these participants were sought from the authors. Five such trials shared tabular data on the subset without CVD,13,19-22 whereas 4 studies were unable to do so.4,23-25 Two further studies were excluded because either the participants were not randomly assigned to the 2 treatment groups26 or because a per-protocol analysis was conducted because of unsuccessful randomization.27 Thus, we hereby provide combined information from the following 11 randomized controlled trials involving a total of 65 229 participants: the West of Scotland Coronary Prevention Study (WOSCOPS),18 the Antihypertensive and Lipid-Lowering Treatment to Prevent Heart Attack Trial (ALLHAT),19 Air Force/Texas Coronary Atherosclerosis Prevention Study (AFCAPS/TexCAPS),17 Primary Prevention of Cardiovascular Disease with Pravastatin in Japan (MEGA),16 the Anglo-Scandinavian Cardiac Outcomes Trial (ASCOT),20 the Collaborative Atorvastatin Diabetes Study (CARDS),15 the Atorvastatin Study for Prevention of Coronary Heart Disease Endpoints in Non-Insulin-Dependent Diabetes Mellitus (ASPEN),22 the Justification For The Use Of Statins In Prevention: An Intervention Trial Evaluating Rosuvastatin (JUPITER),7 the Prospective Study of Pravastatin in the Elderly at Risk (PROSPER),21 the Hypertension High Risk Management (HYRIM) trial,14 and the Prevention of Renal and Vascular Endstage Disease Intervention Trial (PREVEND IT)13 (Figure 1). We (S.R.K.S. and S.E.) abstracted information in duplicate from all relevant studies and, where necessary, a third investigator adjudicated any discrepancies (K.K.R.). Information was obtained on several baseline and follow-up characteristics of participants including lipid levels and levels of other factors, and on event rates in each arm of randomization, and effect estimates and their 95% confidence intervals (CIs). Where rates could not be directly abstracted, they were calculated from published information or tabular data provided via correspondence using average follow-up duration and the number of participants and events in each randomization group. Information regarding the baseline and follow-up concentrations of LDL-C, the lipid marker of interest in this meta-analysis, was abstracted from the published reports. Since on-treatment LDL-C levels were variably reported across different trials, with some trials reporting relative reductions (expressed as a difference in the percentage reduction in LDL-C in each arm during follow-up) and others providing absolute levels (ie, LDL-C levels in milligrams per deciliter in each study arm during follow-up), we calculated where necessary the absolute and percentage reductions in LDL-C level between the treatment groups. Average follow-up duration was reported as mean duration in WOSCOPS,18 ALLHAT,19 AFCAPS/TexCAPS,17 PROSPER,21 PREVEND IT,13 and MEGA,16 and as the median duration in JUPITER,7 ASCOT,20 CARDS,15 and ASPEN.22 End of follow-up duration was available in the case of HYRIM.14 For the estimation of the number of person-years of follow-up we assumed that the geometric mean approximated the arithmetic mean. To assess the effect of statin therapy (compared with placebo) on all-cause mortality, we conducted a random-effects model meta-analysis that assumes that the true underlying effect varies between studies (subsidiary analyses were done using a fixed-effect model). Statistical heterogeneity across trials was assessed using the χ2 (P value) and I2 statistics,28 with P > .10 considered statistically nonsignificant. The I2 statistic is derived from Cochran Q [(Q – df/Q) × 100]28 and provides a measure of the proportion of the overall variation that is attributable to between-study heterogeneity. We used meta-regression to investigate potential sources of differences in the observed event rates and in the effect estimates across different studies. The amount of variation explained by the factor under consideration was estimated using coefficient of determination (reported as adjusted R2 value) from the meta-regression model. Unless specified otherwise, these analyses were not adjusted for other covariates. To calculate the absolute mortality rate in the statin or control arms, study and trial arm-specific estimates were combined across studies using random-effects model meta-analysis. All P values reported are 2 sided. All analyses were performed using Stata version 10.0 (StataCorp, College Station, Texas). Overall, there were 65 229 subjects in predominantly Western populations with only 1 trial (MEGA16) conducted exclusively in an East Asian population (Table). The mean age of subjects in these 11 trials ranged from 51 to 75 years, with the proportion of women ranging from 0% to 68%. Whereas 2 trials (CARDS15 and ASPEN22) exclusively had subjects with diabetes, JUPITER7 excluded people with diabetes at entry and, hence, the proportion of people with diabetes in this meta-analysis ranged from 0% to 100%. Average baseline LDL-C level (weighted mean) across studies was 138 mg/dL. During an average follow-up of 3.7 years the mean LDL-C level among participants allocated to placebo was 134 mg/dL compared with a mean of 94 mg/dL among those allocated to statins, reflecting an average LDL-C level difference of 40 mg/dL between the 2 treatment groups. The Table reports the rates of all-cause mortality across studies which ranged from 3.6 to 26.0 per 1000 person-years (weighted mean, 11.4 per 1000 person-years) in the placebo/control arm and from 2.4 to 27.2 per 1000 person-years (weighted mean, 10.7 per 1000 person-years) in the statin-treated group. We assessed the relationship between baseline characteristics and mortality rates observed in these studies. As anticipated, the strongest correlation was observed with mean baseline age, which accounted for an estimated 66% of the variation in mortality rates across studies (R2 = 0.66; P < .001; Figure 2). Inclusion of mean baseline LDL-C levels in the regression model did not make a statistically significant change (P = .50). Overall, approximately 244 000 person-years of follow-up were accrued in the 11 trials, which provided information on a total of 2793 deaths, with 1447 deaths occurring among 32 606 participants assigned to placebo arm and 1346 deaths among 32 623 participants assigned to statin-treated arm, reflecting about 100 fewer deaths in the statin-treated group. In a random-effects model meta-analysis of these 11 trials, the risk ratio for all-cause mortality associated with the use of statins was 0.91 (95% CI, 0.83-1.01). The corresponding risk ratio using a fixed-effect model was 0.93 (0.86-1.00) (Figure 3A). There was no strong evidence of heterogeneity in the effect estimate across the studies (I2 = 23%; 95% CI, 0%-61% [P = .23]). Similar results were obtained in analyses that excluded CARDS15 and ASPEN22 (which had recruited individuals with diabetes only), with a risk ratio of 0.92 (95% CI, 0.84-1.02) in a random-effects model and 0.94 (95% CI, 0.86-1.01) using a fixed-effect model (Figure 3B). There was no strong evidence of publication bias when assessed using a funnel plot and the Egger’s test (P = .50) (eFigure). Figure 4 depicts the relationship between the relative risk of death and lipid levels across different studies. No significant relationship was observed between mean baseline levels of LDL-C and the relative reduction in all-cause mortality across studies (P = .97). Similarly there was no material relationship between mean LDL-C reduction and reduction in all-cause mortality, whether assessed in relation to absolute (P = .62) or percentage reduction in LDL-C (P = .46). This literature-based meta-analysis (including previously unpublished tabular data) of 11 clinical trials involving 65 229 participants with approximately 244 000 person-years of follow-up and 2793 deaths provides more reliable evidence than previously available on the impact of statin therapy on all-cause mortality among high-risk individuals without prior CVD. These data indicate that over an average treatment period of 3.7 years, the use of statin therapy did not result in reduction in all-cause mortality with no strong evidence of statistical heterogeneity across studies that varied considerably with respect to participant characteristics and mean baseline LDL-C levels. Within this combined high-risk dataset with a mean placebo mortality rate of 11.4 per 1000 person-years, there were on average an estimated 7 fewer deaths for every 10 000 person-years of treatment. The observed proportional risk reduction was similar with the exclusion of 2 trials consisting entirely of individuals with diabetes. In contrast to single studies and previous meta-analyses, the present report suggests that all-cause mortality benefits are more modest in the short term, even among high-risk primary prevention populations, thereby indicating the need for further caution when extrapolating the potential benefits of statins on mortality to lower-risk primary prevention populations than to those shown herein. The present findings usefully complement and extend previously published meta-analyses of statin treatment such as the Cholesterol Treatment Trialists' (CTT) collaborative meta-analysis of individual participant data based on 90 056 individuals,1 which reported that statins reduced death from any cause by 12% (hazard ratio, 0.88; 95% CI, 0.84-0.91), and a more recent literature-based meta-analysis12 that included JUPITER,7 which reported a similar effect. However, these estimates were based on information from both individuals with and without pre-existing CHD or stroke, which may overestimate the true benefits in the primary prevention setting. Two other literature-based meta-analyses have previously attempted to quantify the impact of statins on all-cause mortality among individuals without clinically manifest CHD, before the publication of JUPITER. The first of these meta-analyses10 reported a similar all-cause mortality reduction (RR, 0.92; 95% CI, 0.84-1.01), but included participants with CHD from PROSPER,21 ALLHAT,19 and Heart Protection Study (HPS),4 and did not include data from MEGA16 or ASPEN.22 A further study11 reported comparable effect estimates (RR, 0.93; 95% CI, 0.87-0.99) but, again, included data from both people with and without clinically manifest CVD. By contrast, our meta-analysis was based on data from only those individuals without clinically manifest CVD, including previously unpublished data, thus providing the most reliable effect estimates about the effect of statins in this population. The present findings also allow contextualization of the results of JUPITER7 against the backdrop of previously published trial evidence. It has been suggested that the mortality benefits observed in JUPITER were more extreme and rapid than would be expected from the LDL-C–lowering effect of rosuvastatin,8 and there is ongoing speculation about the contribution of hs-CRP reduction to the reduction in risk observed in JUPITER. In addition, JUPITER also reported a reduction in deaths due to cancer, in contrast to larger studies and meta-analyses that have suggested a neutral association with cancer.29 The present data suggest that the all-cause mortality reduction of 20% reported in JUPITER is likely to be an extreme and exaggerated finding as often occurs when trials are stopped early, hence, indicating that more liberal use of potent statin regimens, particularly in the setting of lower risk primary prevention subjects, is unlikely, at least in the short term, to have a major impact on all-cause mortality reduction. Nevertheless, the longer-term benefits of statins beyond the relatively short duration of any trial must be considered. Meta-analyses have demonstrated that the relative risk reduction with respect to coronary events becomes stronger with duration of therapy.1 Also, findings from the 10-year extension of the WOSCOPS30 and the 2.2-year extension of the ASCOT31 have suggested that statins might reduce all-cause mortality, although both studies contained some individuals with angina and prior cerebrovascular disease, respectively. One of the findings of the current meta-analysis is the “flat relationship” between baseline levels of LDL-C and the proportional reduction in all-cause mortality. This is in keeping with previous reports that showed that the proportional reduction in the combined end point of fatal and nonfatal cardiovascular events is similar across differing levels of baseline LDL-C.1,4 However, in contrast to the reported strong correlation between reductions in LDL-C levels and the reduction in fatal and nonfatal cardiovascular events combined in the aggregate primary and secondary prevention dataset of the CTT meta-analysis,1 we failed to observe any statistically significant correlation between on-treatment difference in LDL-C levels and the relative reduction in all-cause mortality. The findings of our meta-analysis on statins should also be considered in the light of similar data for fibrates, which principally lower triglyceride levels. 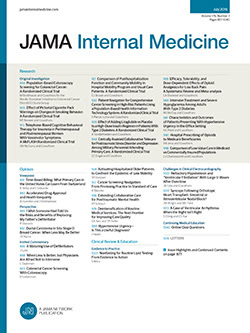 In this regard, a previous meta-analysis of randomized controlled trials showed that despite a significant reduction in nonfatal myocardial infarction, all-cause mortality was approximately 7% higher (hazard ratio, 1.07; 95% CI, 0.99-1.15) among individuals randomized to a fibrate.32 Given the existing uncertainty in medical literature about the mortality benefits (and potential harm) of lowering lipid levels in populations without clinically manifest CVD,5,6 our findings are timely and reassuring and further reinforce the notion that lowering lipid levels in a very high-risk primary prevention population is not likely to be harmful, but any mortality benefits are likely to be more modest than previously perceived. As a corollary, however, it may be inferred that in even more lower-risk populations (such as subjects at low CVD risk prescribed statins for primary prevention of CVD), the benefits of mortality reduction are likely to be even more modest than observed in this meta-analysis, at least in the short term. The present study has some potential limitations that should be considered. First, a meta-analysis remains retrospective research that is subject to the methodological deficiencies of the studies included. We minimized the likelihood of bias by developing a detailed protocol a priori, by performing a meticulous search of published and unpublished studies, and by using explicit criteria for study selection, data extraction, and analysis. Second, as in other meta-analyses, these results should be interpreted with caution, since individual studies varied considerably with respect to the demographic characteristics of the participants, the duration of follow-up, and the type and dose of statins used. Importantly, the absolute benefits of statin therapy depend on baseline risk of the populations treated, and in very-low-risk populations, such as younger, healthier individuals, the benefit of statins remains unclear. However, these differences did not appear to result in material heterogeneity across the studies. Third, we had insufficient data to analyze the effects of statins in different subgroups (eg, men and women or individuals in different age categories). Such analyses are more informative when done using individual participant data rather than cohort level data. Similar approaches are also needed to determine whether there is a significant correlation between the magnitude of LDL-C lowering and mortality reduction. Fourth, we attempted but were unable to obtain information from 4 published studies fulfilling our study criteria that would have contributed further information on approximately 3700 persons. Finally, we included 2 studies that recruited solely subjects with diabetes but who were without clinically manifest CHD at study entry (CARDS15 and ASPEN22). Although diabetes is considered by many as a CHD risk equivalent,33 the event rate among patients with diabetes varies considerably and, in particular, among younger diabetic patients without microalbuminuria, the cardiovascular event rate is much lower than among individuals with established CHD.34-36 In line with these observations, absolute mortality rates observed in the 2 diabetes-only cohorts were comparable with other high-risk groups free of CVD (Table), and the main factor that influenced heterogeneity in mortality rates across studies was age (Figure 2). In addition, of the remaining “primary prevention” cohorts, a history of diabetes was present in up to 35% of individuals, who could not be excluded from the analyses without access to individual participant data. In conclusion, based on aggregate data on 65 229 men and women from 11 studies, yielding approximately 244 000 person-years of follow-up and 2793 deaths, we observed that statin therapy for an average period of 3.7 years had no benefit on all-cause mortality in a high-risk primary prevention population. Current prevention guidelines endorse statin therapy for subjects at high global risk of incident CVD as a means to reduce fatal and nonfatal vascular events.33,35,36 Due consideration is needed in applying statin therapy in lower-risk primary prevention populations. Correspondence: Kausik K. Ray, MD, MPhil, FACC, FESC, Department of Public Health and Primary Care, Strangeways Research Laboratory, Worts Causeway, Cambridge CB1 8RN, England (koshray@gmail.com). Accepted for Publication: December 16, 2009. Author Contributions: Drs Ray, Seshasai, and Erqou contributed equally to this manuscript and are considered joint first authors. Study concept and design: Ray. Acquisition of data: Ray, Seshasai, Erqou, Sever, Jukema, Ford, and Sattar. Analysis and interpretation of data: Ray, Seshasai, Erqou, and Ford. Drafting of the manuscript: Ray and Seshasai. Critical revision of the manuscript for important intellectual content: Ray, Seshasai, Erqou, Sever, Jukema, Ford, Sattar. Statistical analysis: Ray, Seshasai, Erqou, and Ford. Administrative, technical, and material support: Ray. Study supervision: Ray. Funding/Support: Dr Ray is funded by a BHF Intermediate Fellowship, Drs Seshasai and Erqou are both funded by the Overseas Research Studentship Award Scheme (ORSAS) and the Gates Cambridge Trust Scholarships at Cambridge University. Previous Presentations: A variation of Figure 3A was presented as a poster at the American College of Cardiology 2009 scientific sessions; March 29-31, 2009; Orlando, Florida. The abstracts are published in a supplement of JACC (Ray KK, Seshasai SRK, Erqou S, Sattar N. Statins and all-cause mortality in men and women without pre-existing CHD: a meta-analysis of 7 trials and 209,000 person years of follow-up [abstract 1021-88]. J Am Coll Cardiol. 2009;53:A209). Online-Only Material: An eFigure is available at www.archinternmed.com. Additional Contributions: The following individuals provided tabular data for the analyses: B. R. Davis (ALLHAT), R. H. Knopp (ASPEN), F. W. Asselbergs and W. H. van Gilst (PREVEND IT), A. M. Gotto Jr (AFCAPS/TexCAPS), and S. A. Anderssen and I. Holme (HYRIM).